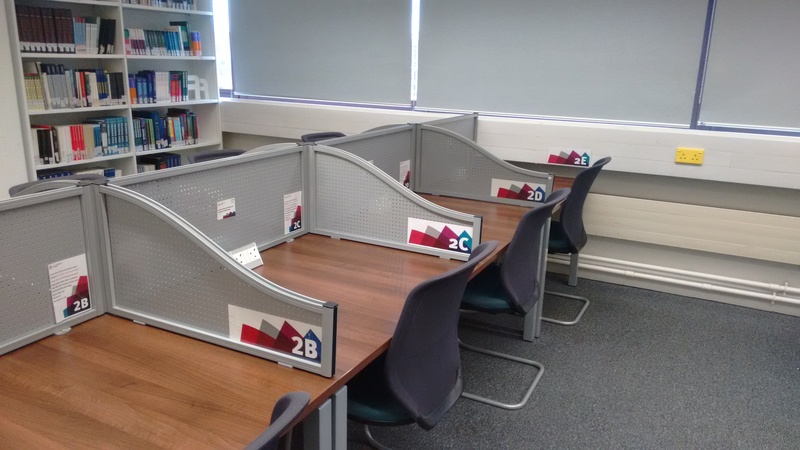 Bookable individual silent study desks will return for the January assessment period at the Northampton Square Library and the Cass Learning Resource Centre. Students can book a desk to study for up to three hours a day, a maximum of four times a week. Each session can be booked up to one week in advance. The full terms and conditions are given in the booking process. All the spaces will be bookable Mon – Fri 9am – 9pm, and midday – 6pm on weekends. The desks will be clearly marked so you can find the place you booked. And remember, if a space is empty then you can study there without a booking, but you will need to make way when someone with a booking arrives. The desks are bookable 2nd – 18th January inc. You can make a booking up to seven days in advance. The bookable desks are on Level 5 and can be found on the Spencer Street side just beyond the Help Desk. There are ten desks in the quiet area of the library.